Welcome to the NEW Generation of Alexnico Levels! Happy 1 year anniversary of Alexnico Levels! Last edit: 06 Apr 2019 19:29 by Alexnico. Despite the neglected texturing, that was an okay level. Last edit: 05 Aug 2017 13:58 by Ralph. Is this a competition now? Man... This is the same map! Hooorayy! I released my new level named "Cannon Master"
I'm releaseing a teaser for my new interesting level..
Sorry,I was a bit sleepy when i made the ZIP file,here's the updated one. 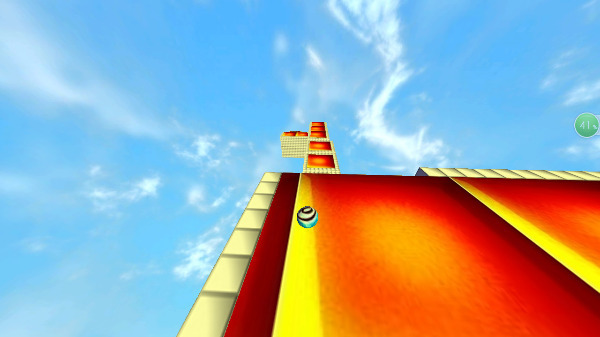 I have posted a new level! Overall really neat level, the idea is original and i liked the creative use of the level. Please use the instructions I have in my signature to were place custom interiors, textures don't have to be in same folder as dif files as long as they are in interiors_pq. Red texture in your last image is missing and it just displays it as white. 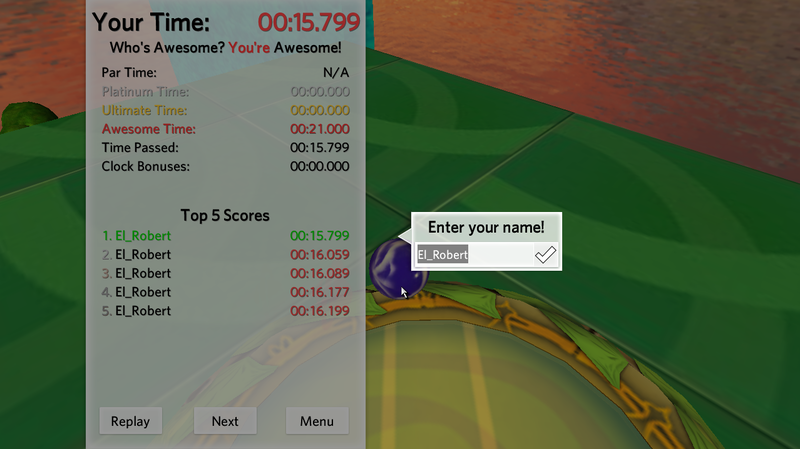 You can't beat the TIME PENALTY BOSS!!!! While making the boss battle, i quickly made a hide and seek level! 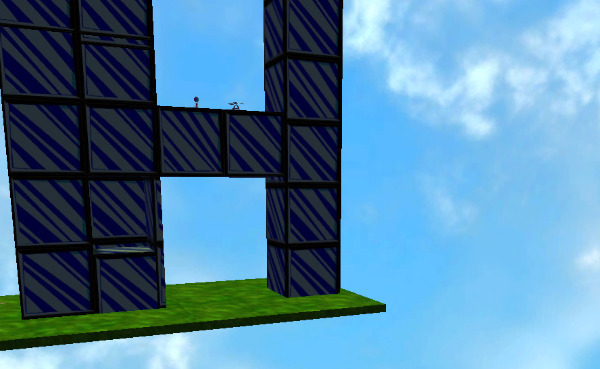 Sorry for being inactive,BUT..I have posted a new level. Avoid the Bricks,even though they are not bricks (they are blocks). Nothing that interesting, too many gems I think. You forgot to add bounds to this level. Pretty cool, but a help trigger explaining that the super jumps were weak would have been nice. I also think that the moving platforms should start and end completely off of the platforms if they move back to the start in a split second. You forgot to add bounds to this level. The Time Penalty boss battle! 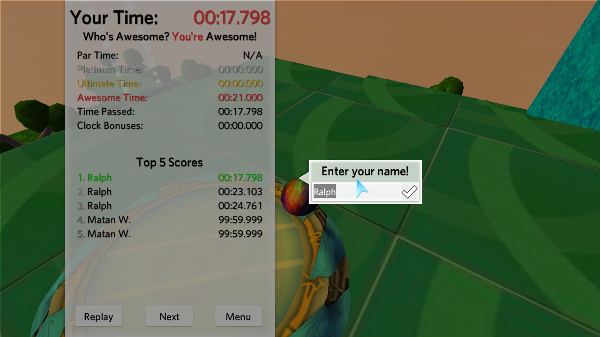 I think 15 seconds should be the maximum amount for a time penalty, otherwise it's pretty much an out of bounds trigger. 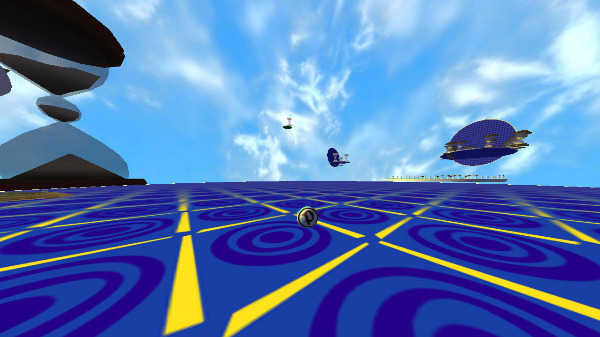 Speaking of which, you forgot to add bounds to this level. Could you please continue to upload pictures of the levels? I'd like to see what I'm downloading. New level! Check it out! I'd like to see a larger level expanding on this idea of, well, the ruins of PQ. Maybe one that has pieces of other levels in a ruined but still functional state, that work in a different way than they originally did. I think a more open level (as in, a level that has many more than one clear path to take) could work pretty well with the vines as an exploration level. The teleport triggers seem too small though, and I don't think it would hurt to make them faster as well. A PhysMod trigger surrounding the vine that makes gravity negative might be better than a teleport trigger. 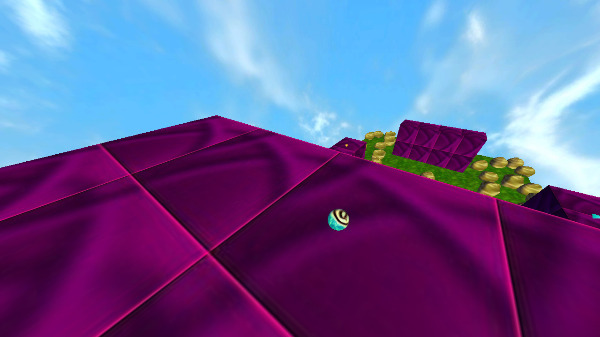 I think there needs to be a wall blocking the marble from falling off of the ledge to the left of the first gem that's on top. The first thing I did was go all the way to the end along the top and went to the finish before I realized that I wasn't supposed to do that at all. In general, more terrain around things like the start and end would probably make the level more immersive. The way to the Easter egg is neat, but too easy to find, I think. New level! Check it out in the first post! -5 minutes is too long in my opinion. For the size of the level, maybe make it 3 minutes. -There's a small misallignment between 2 of the interiors. Aside from that I do like the placement of the interiors, it gives that feeling of an open space & looks good. Too bad that there's only one path back and forth that has gems on it, it'd be better to have more paths between the interiors & have the gems more spread out. The level might work better as a collection level. A hunt level needs to have more paths to take between the gem spawns. 1 Year anniversary special level! Check the level in the first post!